Kingsford® Charcoal briquets and water are not friends. 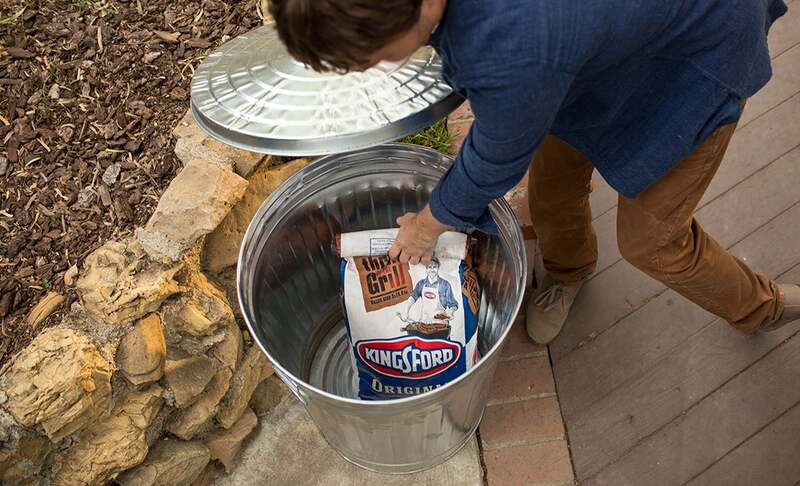 Leaving Kingsford® Charcoal out in the rain or even leaving it outside and exposed to fog, high humidity or dew means the briquets will not light efficiently. To avoid this, always store your briquets in a cool, dry place. Just grab the bag and bring it back into the garage with you, or roll the top of the bag shut and place it in an empty trash can or storage bin — with the lid on to protect it from the elements.